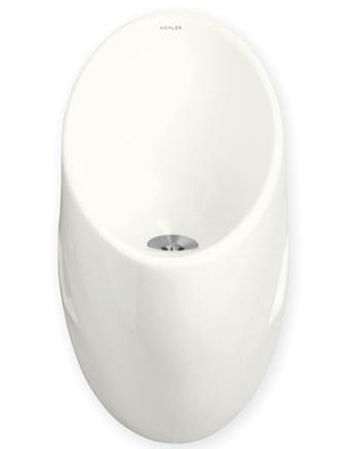 Why Choose a Water Free Urinal? Why Choose a Water-Free Urinal? Water-free urinals are a growing choice in many businesses and some homes. Urinals are a common thing in most men’s public restrooms. The kind that you usually see is the type that uses water to flush and clean it. But, did you ever stop to think just how much water they use? Some businesses may end up paying for literally hundreds of thousands of gallons of water a year for water used in the urinal. That’s a lot of money to pay out, let alone a lot of water to use up that could go to something more useful. But, there is a way to both save water and money, and that is a water-free urinal. The two types of water-free urinals are cartridge and non-cartridge based. They are a green alternative to water based urinals, so are eco-friendly and good for the environment, so you will probably be seeing a lot more of them in the future. They are very cost effective and in fact, there are some types that you can even get a tax break since they are helping save water and electricity. 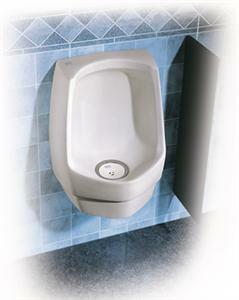 Faucet Depot stocks Falcon, Kohler and Sloan brand waterless urinals. A water-free urinal works nearly the same as the kind that use water. The urine goes into the urinal, passes through a strainer and then passes through a sealing liquid, which may be either a special prepared fluid or it could be regular vegetable oil. The urine goes through this fluid and collects in the waste tube since it is heavier than the oil or fluid. Unlike traditional urinals, water-free urinals don’t smell. They don’t smell because the urine is trapped under the oil or fluid, and the odor can’t get through that barrier because the density of the urine is less than the oil and the odor molecules stay under it. Voila! No smell! Since a water-free urinal has no liquid that stays in the bowl, there isn’t a place for bacteria to thrive and grow. In a regular flush urinal, bacteria can be thrown up in the air when it flushes and contaminate people or the room, but you don’t have to worry about that with a flushless and water-free urinal. Some cities and states have water conservation laws, and if you install one of these water-free urinals, then you won’t even have to be concerned with this and can use your available water for other things. As stated above, these urinals can save thousands.